The hotel at Lundpark was a popular jumping off point for the trip to the mines. 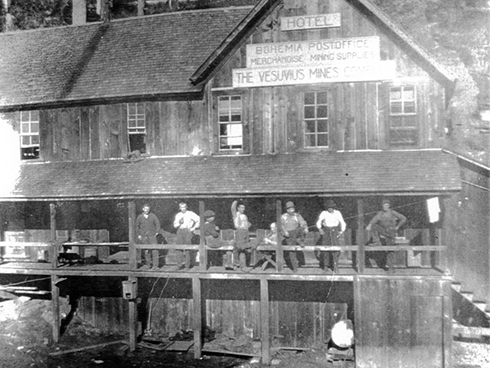 The hotel at the Vesuvius Mine also housed the Bohemia Post Office. 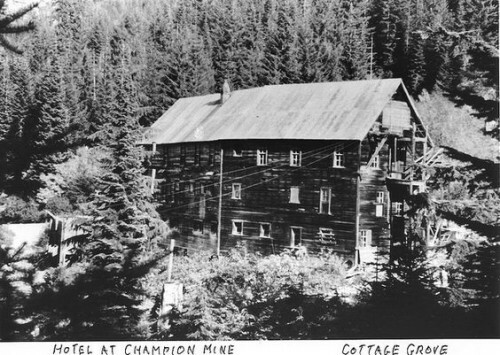 This 3 story hotel served the Champion Mine. 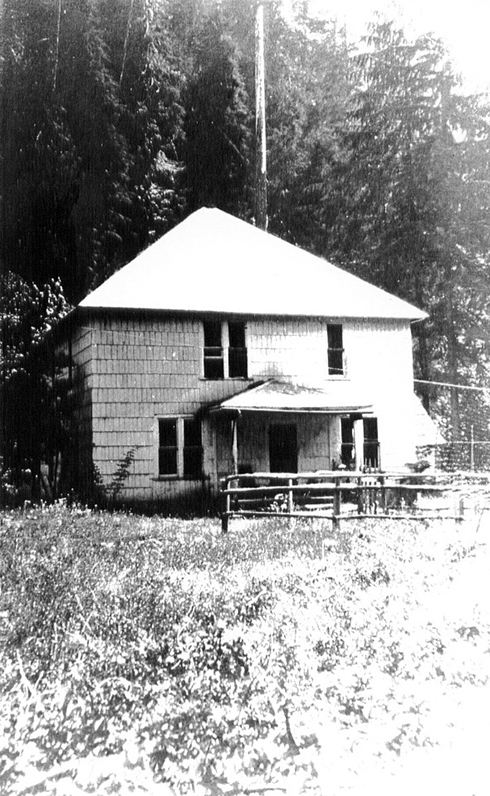 There were some hotels in the Bohemia Mining District to serve the many people who traveled to and from the mines for work, business or just to gawk.The lovely Painted Post Ranch on Sharps Creek Road was often the first stop on the long trip to the mines. 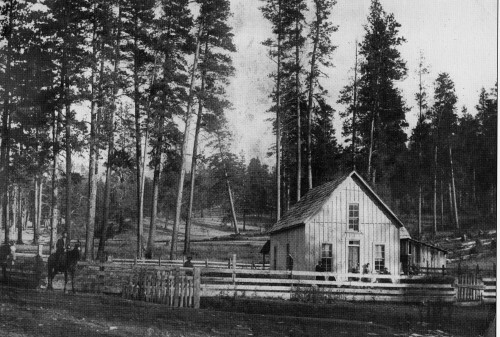 They offered food, lodging and fresh horses for the wagons going up to the mines. None of these hotels were fancy. They were put up quickly with local lumber. There were no formal dining rooms or linen tablecloths, just rough-hewn common tables and simple but filling food. Sadly, none of these buildings have survived. Nice set of photos! Thanks for sharing them.